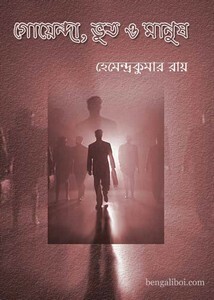 'Goenda, Bhoot O Manush' is an adventure book which is written by well known author Hemendra Kumar Roy. He was a fiction writer and lyricist and he is famous for writing romance and detective stories for children and younger. He wrote more than 80 books for children, poetry, drama, smile and ghost story, adventure, and detective stories, historical novels have everything. Now I want to share above said story book as pdf file. There are thirteen stories in this book. The pdf has 114 pages with 5mb file size.